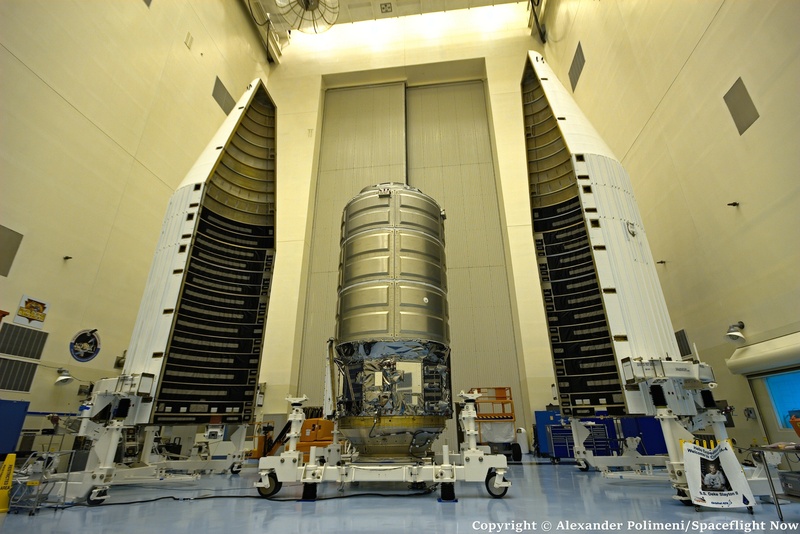 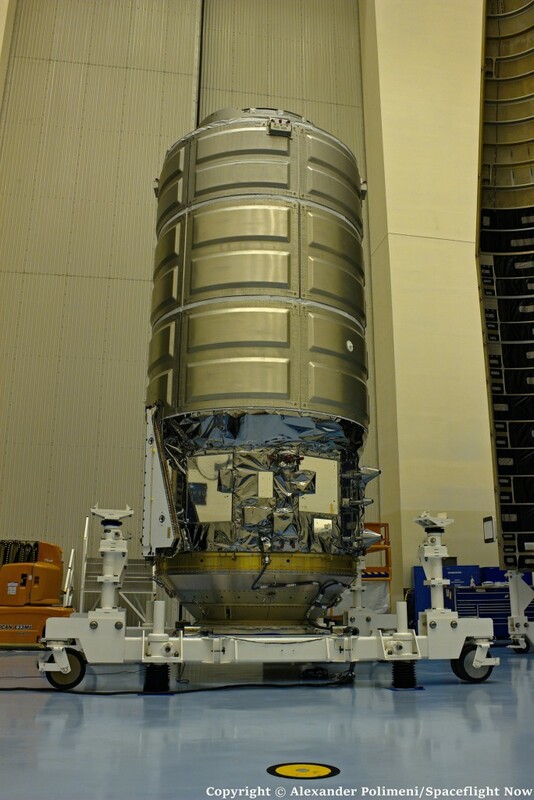 The Orbital ATK’s Cygnus commercial resupply spacecraft, named the SS Deke Slayton II, is packed up and poised for launch to the International Space Station. 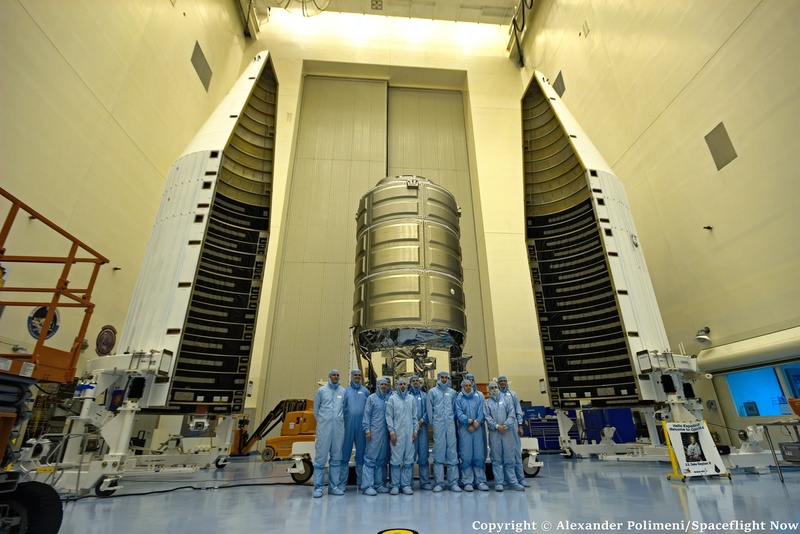 Engineers showed the vessel to local reporters and photographers at the Kennedy Space Center’s Payload Hazardous Servicing Facility on Friday. 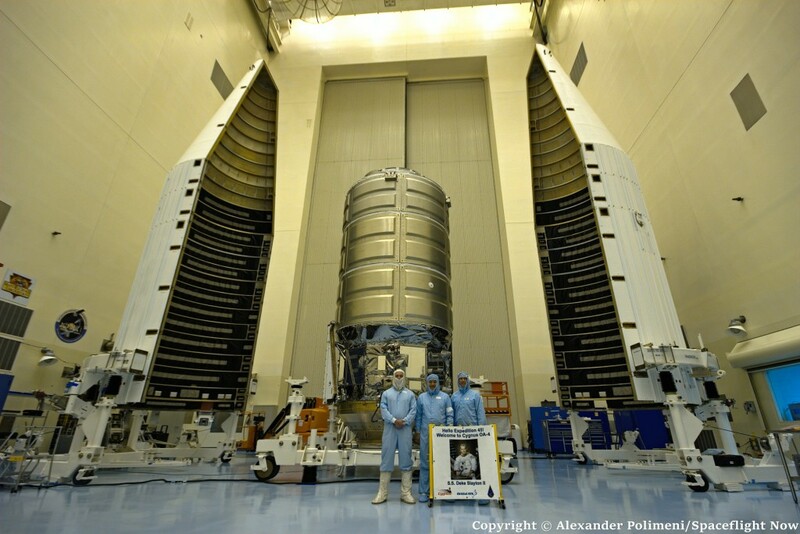 It will be encapsulated in the Atlas 5 rocket’s 14-foot diameter aluminum nose cone on Monday and moved to the United Launch Alliance vehicle integration facility next Friday for mating to the booster. 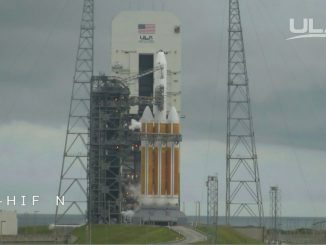 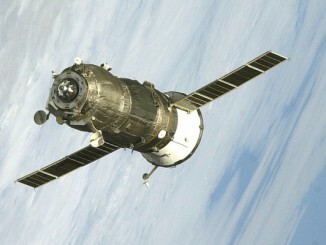 Liftoff is planned for approximately 5:55 p.m. EST (2255 GMT) on Dec. 3. 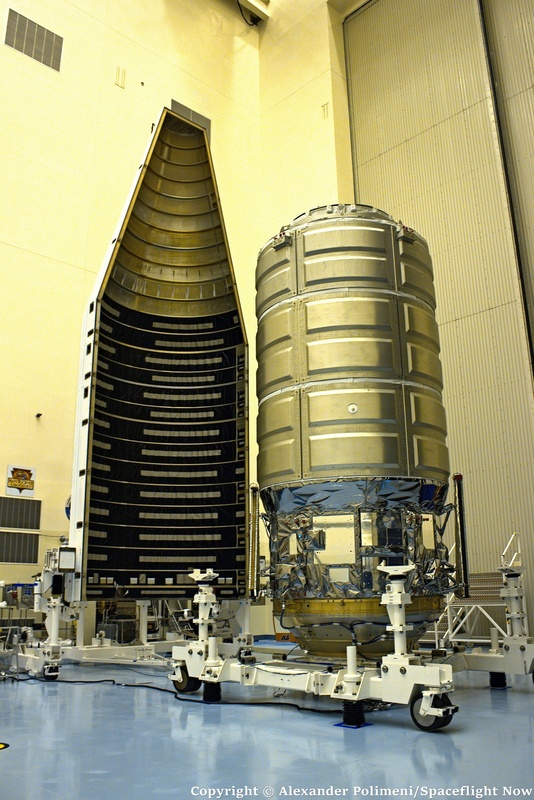 Cygnus is carrying 7,383 pounds of provisions for the International Space Station, not counting packing materials. 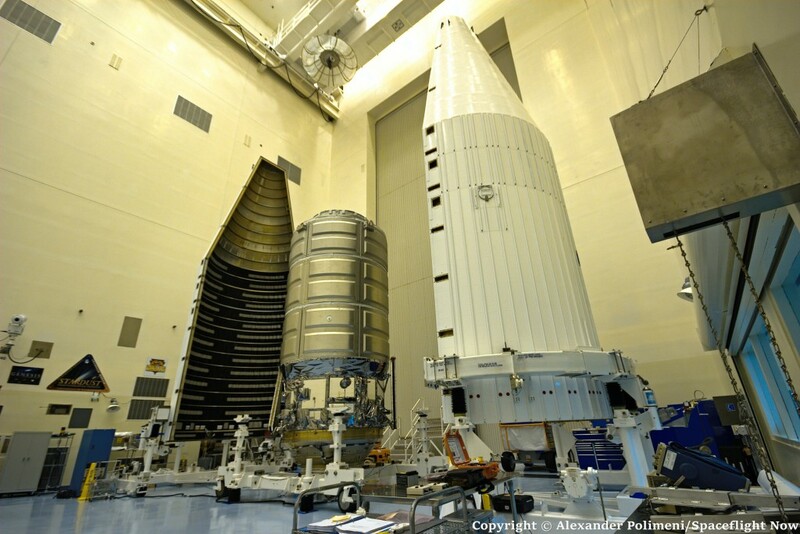 The total mass with packing is 7,745 pounds. 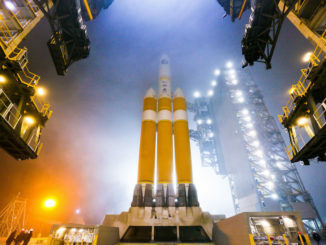 The spacecraft, which stands 21 feet tall and 10 feet in diameter, will weigh 16,517 pounds at launch, the heaviest payload ever for an Atlas rocket.